Please note: For the time being, ROA credits are only redeemable in-store, not online. 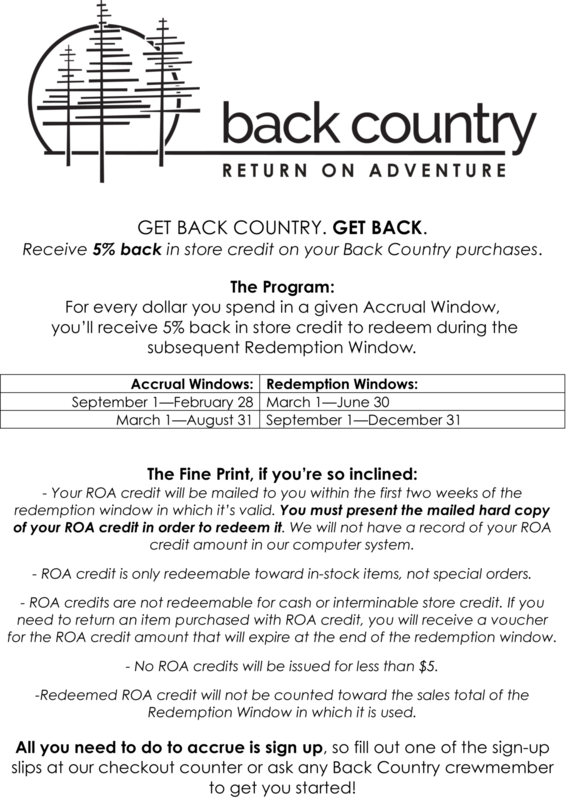 We also don't yet have an online sign-up option, but you can send an email to info@theoriginalbackcountry.com with your mailing address and the subject "ROA". Sorry for the inconvenience.